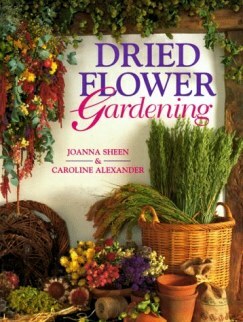 Already a classic on the subject of dried flower gardening, Dried Flower Gardening has been re-released. Choose your dried flower plants by color, method and or part to dry. Or, use one of Ms. Sheen's designs to get your garden jump started. What do you fancy? An Orange, Yellow, White and Green Garden? And, do you want that in perennials or annuals or both? The extensive A-Z of Recommended Plants section examines her choices of plants in comprehensive detail, providing insight into each variety that only an experienced gardener can. as are her craft ideas for everything from a simple bouquet to an elegant Autumn potpourri. With Dried Flower Gardening you can enjoy the fruits of your garden fresh and forever. Additional books you might like on crafting with herbs!